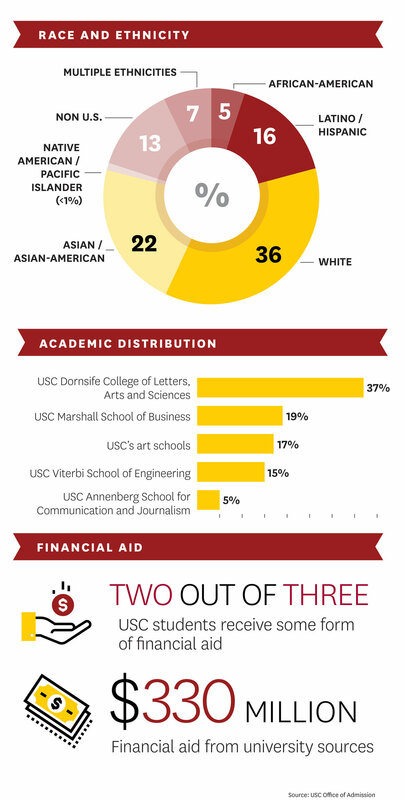 Even as fewer students are offered admission to USC, more of the highest-achieving students are saying yes. The university is more selective than ever, offering admission to a record low 13 percent of those who applied. Yet more of those said they wanted to be part of USC’s Class of 2022 — including nearly 780 with a perfect GPA. The incoming students of the USC Gould School of Law boast the highest median grade point average in school history at 3.78, the broadest geographic representations in a decade and an impressive median LSAT score of 166. Students hail from 31 states and 101 colleges and universities. Seven of the eight Ivy League undergraduate universities are represented in the class; international students make up 8 percent of the class. The newest class of the Herman Ostrow School of Dentistry of USC is evenly split, with 72 men and 72 women. The average age of Doctor of Physical Therapy students in the residential program of the USC Division of Biokinesiology and Physical Therapy is 23.6. 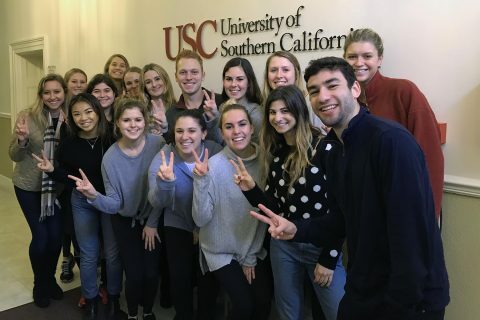 In the division’s hybrid program, which allows USC to train students coast to coast, with students visiting campus regularly, the average age is 28. The full-time MBA class of 2020 at the USC Marshall School of Business is the first of any major business school to reach gender parity, with as many women as men enrolled. Students joining the USC Mrs. T. H. Chan Division of Occupational Science and Occupational Therapy come from an array of undergraduate degrees and master’s degrees representing over 50 different majors. 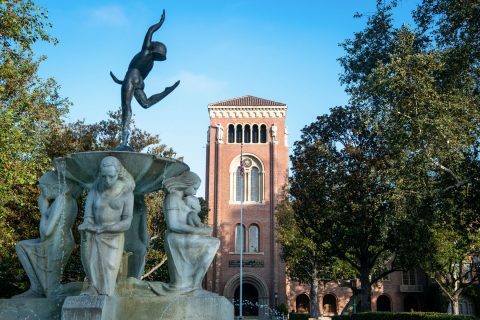 “We’re seeing a remarkably strong match between the students we select for admission and those who decide to join the Trojan family,” said Timothy Brunold, USC’s dean of admission. USC’s distinction as a top choice for selective students is reflected in national rankings. USC once again landed in the top 20 in The Wall Street Journal/Times Higher Education rankings. The university scored highly for engagement, a measure of student-faculty interaction, as well as diversity and inclusion. USC graduate salaries, which rank in the 99th percentile nationally, also helped raise USC’s standing. USC joins Caltech and Stanford University as the only California institutions in the western U.S. to make the survey’s top 20. 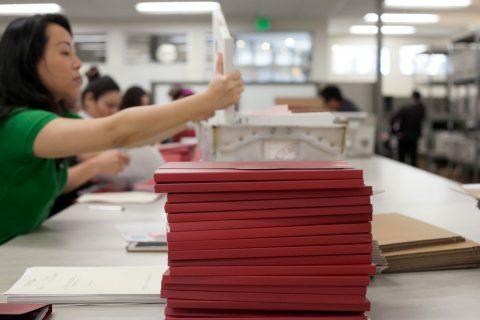 Brunold and the USC admission team received 64,000 applications, by far the most in USC history. This caps a long trend: a growing number of high-achieving students want to be Trojans. 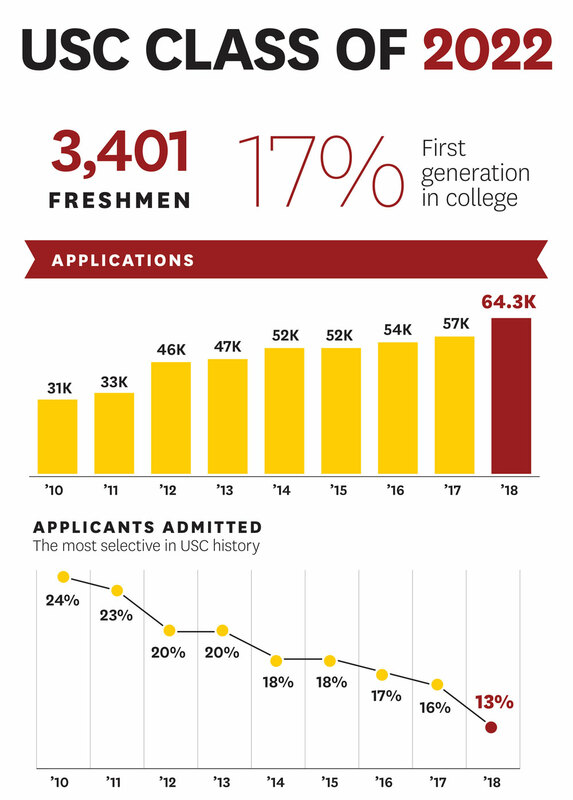 Of those offered admission, the number who said yes to USC was bigger than ever. “It’s more than gratifying when we see so many exceptional students lining up to come here,” Brunold said. While applications rise and USC’s admission rate falls, the university’s financial aid remains steady. Two out of every three students receive some form of financial aid. 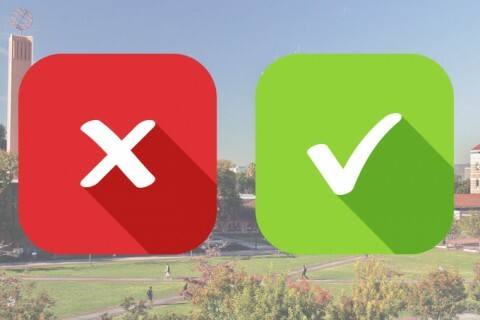 USC’s admission policy is need-blind; neither income levels nor ability to pay are considered. 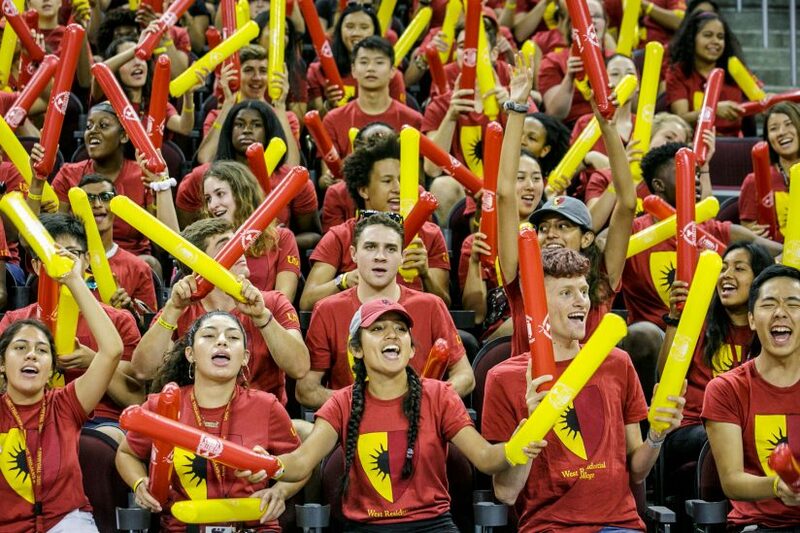 The Trojan Family welcomed 3,400 first-year students, including the highest numbers of Hispanic and African-American scholars the university has ever enrolled as freshmen. Of the incoming class, 1 in 4 identifies as a member of an underrepresented minority group. First-generation students — those among the first generation in their family to attend college — are as strong as ever, at 17 percent of the cohort. “When these students graduate, they’ll help reshape vital professions and endeavors, so they look more like the world we’re part of,” Brunold said. USC continues to be a top draw for students from around the world. China, India, Canada, South Korea and the United Kingdom top the list. Those five countries sent 330 students to USC. Though students hail from every state in the union, students from California make up most of the incoming class, a Trojan tradition. Members of the freshman class came from over 1,800 high schools nationwide. Foshay Learning Center, a neighborhood school in South Los Angeles, continues to be one of the university’s top feeder schools.